Fusion splicing is whereby two optical fibres are joined end-to-end using a heat process. The method used is normally a fibre splicing machine with a built-in laser which fuses the fibres together. The objective is to fuse the two fibres in such a way that the light passing through the fibres is not scattered or reflected back by the splice. A perfect splice should be almost identical to the original fibre optic cable. 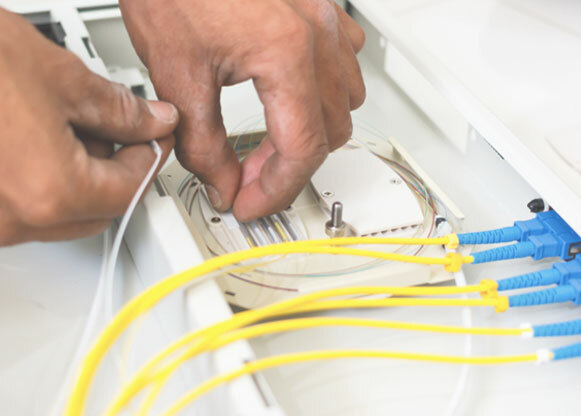 Fibre can also be spliced by using mechanical splicing. This is done using a splice connection that has chemical in the connector which fuses the connector to the bare fibre.